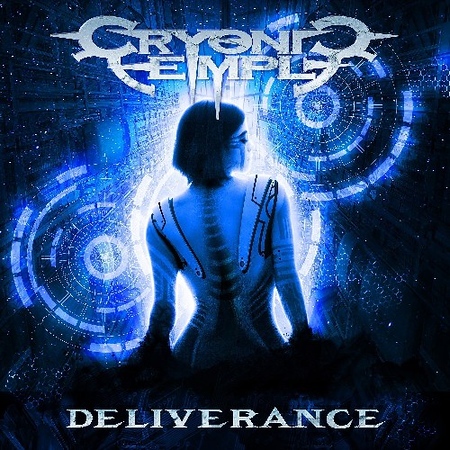 “Deliverance” is the sixth album from Swedish power metal band Cryonic Temple and it was released on 20th July by Scarlet Records. The band formed over twenty years ago and released their first album back in 2002. The new album is the second part of a concept project that started with the release of “Into The Glorious Battle” in 2017. I’ve played a couple of tracks from “Deliverance” on the Friday NI Rocks Show – “End of Days” on 13th July and “Starchild” on 3rd August. Cryonic Temple formed in 1996 and released a number of demos ahead of their debut album “Chapter I” in 2002. Three more albums followed over the next six years and then there was long gap until the release of “Into The Glorious Battle” in 2017. Between 2008 and 2015 there were a number of line-up changes following the departure of the band’s original lead vocalist and several different singers came and went. The band’s frontman is now Mattias Lilja and he joins bass player Roland Westbom, guitarists Markus Grundström and Esa Ahonen and drummer Micke Dahlkvist. “Deliverance” is the second part of a concept project that is set in outer space in the distant future; following on from “Into The Glorious Battle”. The tracks focus on war, conflicts, love and hope and are great example of what the power metal genre is all about. Initial press releases mentioned 10 tracks and some versions have 12 but the version I downloaded has a total of 14 tracks.